Transgender people suffered particularly badly, with 28 per cent saying they had been attacked of threatened because of their sexuality. 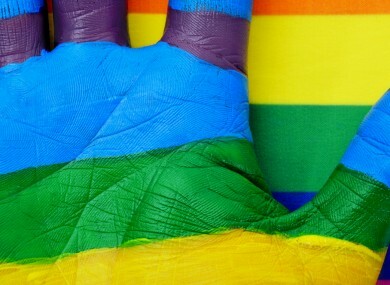 ALMOST TWO-THIRDS of Europe’s lesbian, gay, bisexual and transgender community are still afraid to show their sexuality in public and most feel discriminated against, an EU report said Friday, the International Day Against Homophobia. “Fear, isolation and discrimination are everyday phenomena for the LGBT community in Europe,” the director of the European Union’s Agency for Fundamental Rights (FRA), Morten Kjaerum, wrote in the report. The online survey, described as the largest of its kind, questioned around 93,000 people in the European Union’s 27 member states plus Croatia, which is to join the bloc in July. Just over a quarter (26 percent) of the respondents said that they had been physically or verbally assaulted over the last five years. Transgender people suffered particularly, with 28 percent saying they had been attacked or threatened more than three times in the last 12 months because of their sexuality, the report said. Some respondents said that even in countries traditionally considered to be tolerant, attitudes were worsening. “My situations of harassment/discrimination/violence are mainly random acts of verbal aggression,” a 27-year-old gay Belgian wrote. The situation is worse now than it was, for example, four years ago. The average figure across Europe was 32 percent, with the highest figures reported in Lithuania (42 percent); Croatia (41 percent); Bulgaria (40 percent); and Romania (39 percent). Many said they were afraid to go to the police, including in France where the beating of a gay couple in April hit the headlines after pictures of the bloodied face of one of the victims spread across social media. “(I am) reluctant to report anything that might indicate that I am gay, as I know (the police) just dismiss everything,” a 42-year-old Frenchman said. And a 32-year-old Czech lesbian said: “For me, the most alarming discrimination experienced is in health. I feel strong enough to deal with street harassment now, but I feel upset about having to justify my lifestyle to every doctor. “Ten years later, I still consider being bullied at school the worst form of homophobic abuse I’ve ever been subjected to,” said a gay Maltese man, 25. The constant insults for being effeminate (‘and therefore gay’) were unbearable at school, and not much action was taken by the teachers against the bullies! Bullying forced me to remain in the closet until I reached the age of 18. “Member states must take care that LGBT students feel secure at school, given that that is where LGBT people’s negative experiences, social prejudice and exclusion often begins,” the FRA said. Email “ Most LGBT Europeans still afraid and threatened: report”. Feedback on “ Most LGBT Europeans still afraid and threatened: report”.